"WAITIN' FOR YOU" was released in 2002 on the soundtrack album of the motion picture "Divine Secrets Of The Ya-Ya Sisterhood". The first two live performances of this song were in London, England, in November 2005, toward the end of a fine European fall tour. Almost eight years later, in October 2013, Dylan surprised the audience of the second of his two Stockholm concerts with the third ever live performance of "WAITIN' FOR YOU", and I was indeed blessed to be a part of that audience, having flown up to Sweden from Ireland for a long weekend two days earlier on my 50th birthday, in order to attend both shows at the new Waterfront auditorium, and do some sightseeing. Sometime during my Stockholm sightseeing on that very day, I thought about the "Ya-Ya" movie, and how well the starting of the studio version fits the ending of the last scene as it then serves as background to the credits, wondering if Dylan would ever play it again live on stage. Well, he did, and I was present. There was a commotion (conference call) on stage before, so I assumed something out of the ordinary was up, but I was too late snatching my camera, so the first video linked below, shot from row 8, is missing the first 45 words of this song. Dylan then chose to perform this gem also during every remaining show of his European autumn tour in October and November, (except the two "mix up" concerts in Rome). The second video linked below was captured during the first concert in Hamburg, where I had the extraordinary pleasure to hear and see it twice, and two days after that I enjoyed it once more, in Düsseldorf. In April 2014 "WAITIN' FOR YOU" was performed in fourteen of the seventeen concerts in Japan, and during both shows in Hawaii; and during the European summer tour of 2014 "WAITIN' FOR YOU" was performed in another fourteen concerts, the first two of which, in Cork and in Dublin, I had the pleasure to be a part of the audience, up close (see video link below for Dublin). During the down under tour in August and September of 2014 "WAITIN' FOR YOU" appeared as well, in all 19 concerts; and during the North American tour from October to December 2014 "WAITIN' FOR YOU" was performed in all 33 concerts. 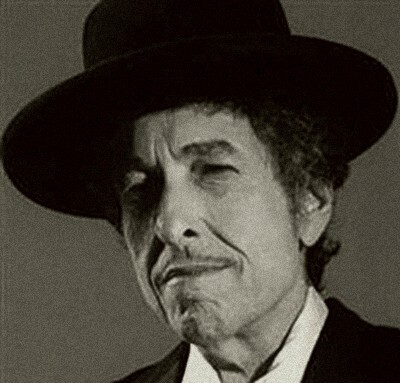 In 2015 Bob Dylan chose to perform "WAITIN' FOR YOU" in all 28 concerts of his US spring tour; and during the European summer tour in the first 15 of the 19 concerts.